Get Your CNC Shop Floor Connected With Predator DNC! Eliminate your switch boxes and get your CNC shop floor connected with Predator DNC! Connect up to 256 CNC per PC for simultaneous send, receive, and DNC File Transfers. Tired of walking back and forth between your CNC and your PC? Remote Request allows operators on the shop floor to send, receive, DNC and get a directory listing of their CNC programs directly at their CNC control. Want to store CNC programs on a network server? Predator DNC with Remote Request works as a DNC gateway between your CNCs and your Novell®, Windows NT®, UNIX®, VMS or LANtastic network server. Limited to eight character file names? No more. Take advantage of long 256 character file names for your CNC programs. Predator DNC supports all controls, including protocols for Bostomatic, Bridgeport, Excellon, Fagor, Fanuc, Heidenhain, Okuma, Mazak, Siemens and many others. The most popular and advanced LAN Based DNC system available. Today, corporate networks expand beyond the front office and engineering department. Network backbones are found on 80% of the manufacturing shop floors. This system leverages the existing investment in LAN infrastructure and supports up to 256 CNC's per DNC Server PC. Have 8 to 64 CNC's and want a system that allows you to easily upgrade as your needs grow? The Flex Bundle™ was introduced to allow customers to purchase their base system (starting at 8 ports) and add upgrades in 8 and 16 port increments (for a total of up to 64 ports) right at their PC. This system is the single most copied system in the DNC market today. Only have a few CNC's? Or, do you have a large shop with cells of 2, 4, or 8 CNC's? 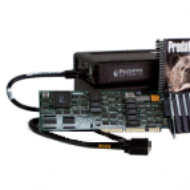 The Predator DNC Bundle is designed as the turnkey DNC network solution for 1 - 8 CNC's per PC. 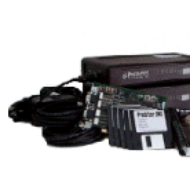 Includes Predator DNC Server, RS-232 Communications hardware, Setup Documentation, Manuals, and a full 5 Year Hardware Warranty! Predator Hand Held Terminals (HHT's) are designed to work with older NC and CNC controls with limited displays and keyboards. HHT's breathe new life into older controls by supporting long filenames and directories common in most shops using Windows. Limited alpha-numeric keypads, controllers without punching capabilities, or controllers without the ability to edit comments can significantly limit your use of Predator's Remote Request™ functionality. With Predator HHT's you can initiate file transfers, request long filenames, create advanced Remote Requests, and much more all with the use of a rugged, shop hardened hand held terminal. Tired of using paper tape? Predator BTRs eliminate the necessity of paper tape usage on NC and CNC machines. 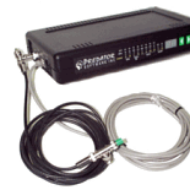 Predator BTRs add an RS-232 or RS-422 port to your existing NC and CNC machines allowing sending, receiving, and drip feeding large NC or CNC programs. 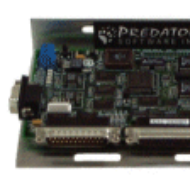 Predator BTRs RS-232 or RS-422 port allows plug and play compatibility with PCs, and Predator CNC Editor, Predator DNC, Predator Desktop, and Predator MDC. 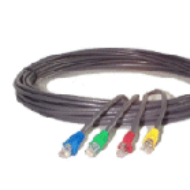 Predator BTRs include all required tape reader and tape punch cables, connectors, and power supply if required. Predator Desktop™ - Control your shop floor and stay organized Predator Desktop is a powerful shop floor control application. It provides a secure, versatile and integrated interface where users can browse production documents from any PC on their network, intranet or the Internet. Users can edit NC files off-line, enter and monitor machine tool and job status, and launch third party applications from Desktop Explorer™. Predator Desktop makes the paperless manufacturing environment a reality. 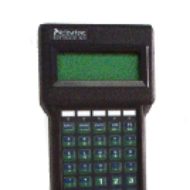 Predator DNC™ - Network your CNCs and get connected Predator DNC (Direct/Distributed Numeric Control) is the backbone for a shop floor network. It is a flexible solution that allows users to access and manage CNC files from any server on their custom-defined network. Predator DNC supports up to 256 machine tools per PC, eliminating manual forms of data sharing and transfer. Predator CNC Editor™ - Revise your G-code with flexible ease CNC Editor is ideal for shops running G-code programs. CNC Editor is MS Word compatible and provides enhanced CNC editing features including a graphical NC code backplotter, side-by-side file compare, and single channel DNC. Predator Gage Crib automates gage crib inventory control and calibration by tracking every gage and fixture. Predator Gage Crib enables manufacturers to automate their quality standards and ISO 900x certifications. Predator MDC™ - Monitor your shop floor and improve productivity Predator MDC (Manufacturing Data Collection) is a network-based application that collects, reports, graphs, and processes shop floor manufacturing data in real-time. It improves manufacturing processes and production efficiency by supplying the most accurate shop floor data available to manufacturers and engineers so they can make better decisions. MDC can monitor up to 256 CNCs per PC and provides more than 100 reports and graphs. Predator Tool Crib™ - Organize your tool crib and stay efficient Predator Tool Crib electronically automates the tracking and organization of your tooling inventory, including tools, cutters, inserts, and tooling assemblies. Predator Tool Crib improves manufacturing processes and efficiencies by tracking consumption rates, reorder levels, scrap and rework. Predator Travelers™ - Automate your work instructions and increase production Predator Travelers provides a flexible system to create, organize, release, and document manufacturing details, processes and work instructions. Predator Travelers includes a powerful object-based database that supports unlimited parts, operations, materials, tooling, gages, blueprints, media, and more. Predator Virtual CNC™ - Verify your CNCs before making scrap Predator Virtual CNC is a G-code-based machine simulation and CNC verification application that proves-out CNC programs, simulates the CNC manufacturing process off-line, and ultimately reduces or eliminates scrapped parts and machine tool damage.